1. Bendy LED people for home, office or car. These guys know how to lend a helping hand. They are pen holders and note wavers. 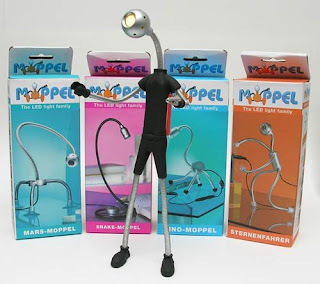 Flexible appendages with magnetic feet let them bend over backward to illuminate a spot where needed. Add some blues and boom to your burgers with the world's first MP3 blasting barbecue! Powered by two gas burners, the music comes courtesy of a hidden speaker in the 50's style cooker's front panel, while your player hooks into an MP3 adaptor 'round the back. 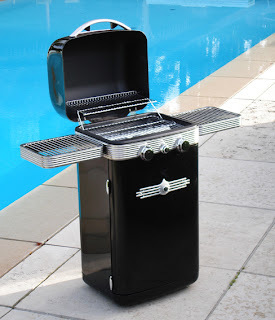 Oh that's a bbq gadget I might need for my new condo!